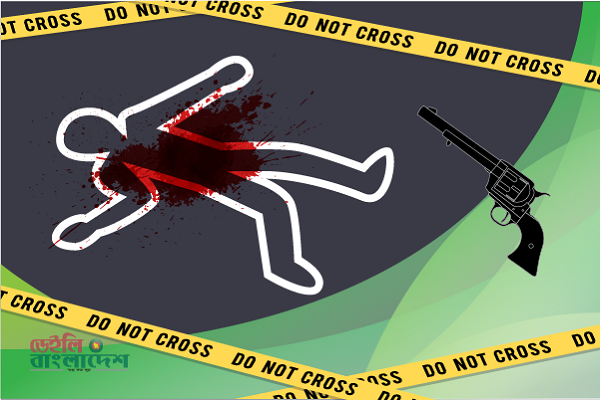 Two drug traders were killed in a gunfight with police at Teknaf Sadar UP near Rajarchara Hill in Cox's Bazar early Friday. The deceased were identified as Nurul Amin, son of Abdul Shukkur of Jalia Parah of Teknaf Municipality and Nur Mohammad, son of Ezahar Miah of Nazir Parah of Sadar UP. Police claimed that Nur Mohammad was an accused in 10 cases, including murder and narcotics, while Nurul Amin was accused in three cases. Pradip Kumar Das, officer-in-charge of Teknaf Model Police Station, said police arrested Nur Mohammad and Nurul Amin from the upazila on Wednesday as both of them were wanted in a number of cases. Sensing presence of the law enforcers, the criminals opened fire on police, forcing them to fire back in self-defence. After the gunfight, police recovered bullet-hit Nurul Amin and Nur Mohammad. Later they were taken to Teknaf Health Complex where doctor declared them dead. Five policemen were injured in the gunfight. They are - ASI Sanjeeb, Constable Al Amin, Saiful Islam, Ershadul and Sabir. 20,000 pieces of Yaba tablets, 8 local weapons and 20 cartridges were recovered from the spot.